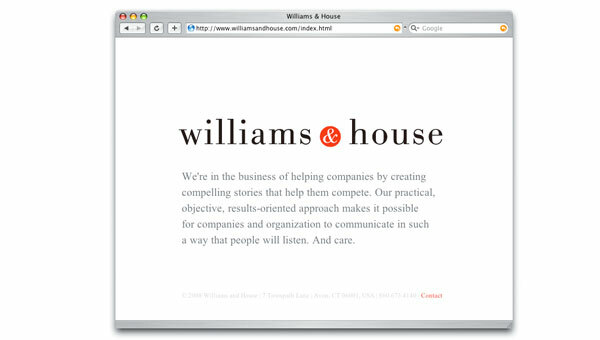 The strategic communications firm Williams and House was founded in 1990 by Pamela Williams and Lisa House. 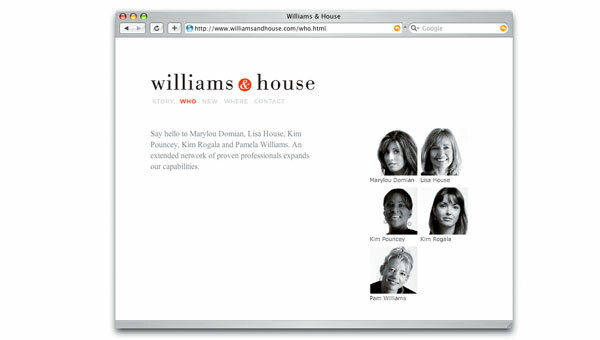 These two smart women were the first in their region—which is perfectly situated exactly between New York and Boston—to integrate all facets of marketing communications into a single practice, something that’s revolutionary for public relations even today. 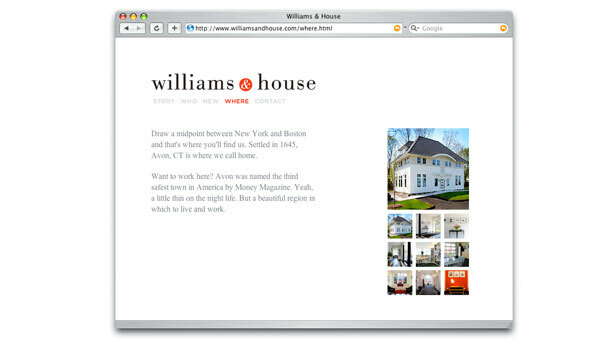 The streamlining of this process was a result of very strategic thinking and demanded a similarly sharp online presence, which in turn made our job very easy.